For the FIAC 2018, Galerie Patrick Seguin is presenting an exploration of the different types of Jean Prouvé’s demountable architecture. Particularly specialized in Prouvé’s oeuvre, the gallery works rigorously to promote his furniture as well as his demountable houses. Today the gallery possesses the largest collection of these works of architecture, which were for the most part unique pieces or produced in very few numbers. 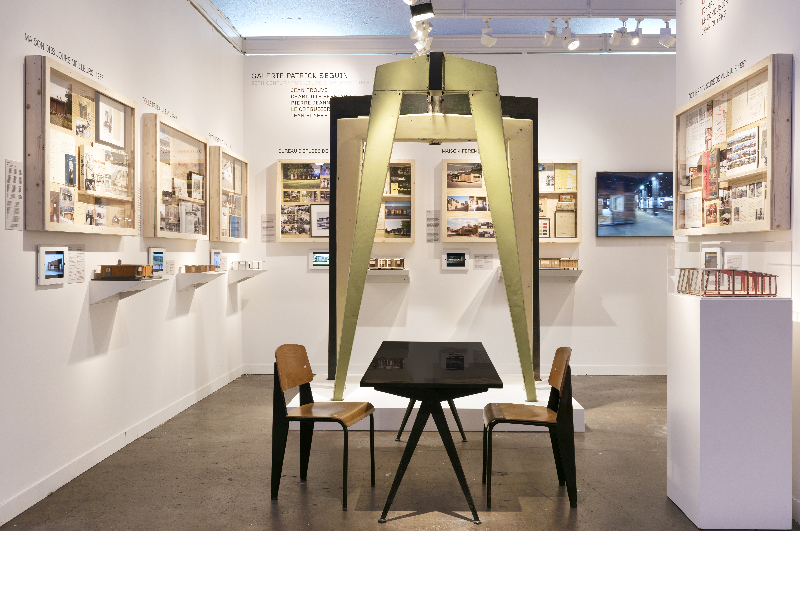 At its booth, the gallery is exhibiting archival photos and plans as well as contemporary images and videos, models, and texts in order to contextualize these works of architecture in history and therefore illustrate the relevance of Prouvé’s work today. For Hors Les Murs 2018, Galerie Patrick Seguin is exhibiiting the Temporary School of Villejuif, 1957 by Jean Prouvé, at the Place de la Concorde.